―Tokyo will host the 2020 Olympic and Paralympic Games. This will bring a great impact to the country. In seven years’ time, Japan will win strong attention from the world. Kanagawa will have great chances as well. 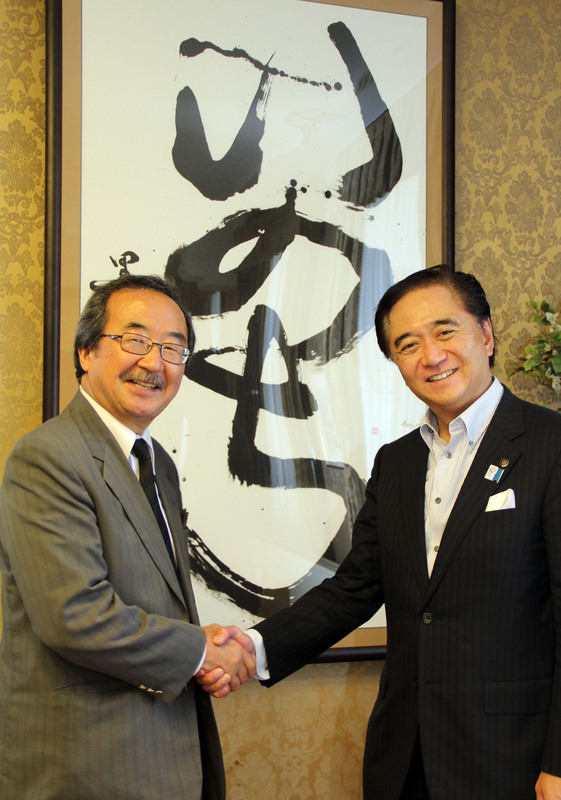 For example, we may provide facilities to the athletes to practice, and many tourists will come to visit Kanagawa. I regard year 2020 as a good milestone for Kanagawa, to demonstrate the achievement of our policies and efforts to the people from all over the world. ―You have been focusing on energy policy since you took the office. Two and a half years ago, right after the Great East Japan Earthquake, I ran for the Governor. 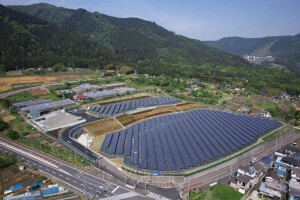 During the election campaign, I carried a solar panel to call for a shift to reusable energy, stressing that Japan should move out of overdependence on nuclear power as soon as possible. We are also conducting a campaign called “Energy Revolution from KANAGAWA,” to promote the usage of hydrogen energy. 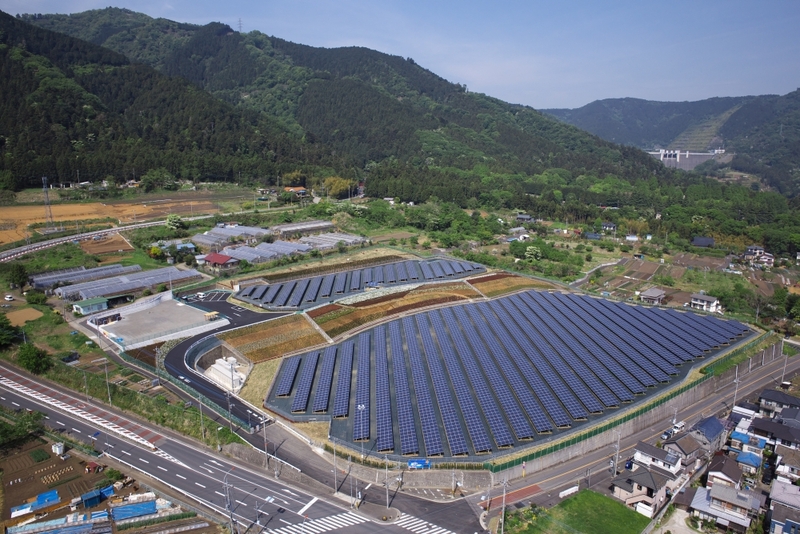 In the framework of “Smart Energy Project of Kanagawa,” which was issued in September, we announced our long-term plan to shift from Centralized Energy System (CES) to Distributed Energy System (DES). The CES is a system to transmit the electricity generated by huge power stations far away, while the DES is a system to consume the electricity locally generated, using solar panels, gas co-generation equipments, fuel cells and so on. Our goal is to raise the share of electricity generated by DES as high as 45% of total electricity consumption in 2030. We strongly expect that solar panels will be widely used, once the thin and light, energy efficient and cheap panels are introduced. As my policy slogan “Kanagawa moves three steps beyond the rest of the world” illustrates, Kanagawa will always be the front runner. We will show the new and successful cases to the entire country. ―You also concentrate on healthcare policy. 2) to cure people while they are in their ME-BYO, or pre-disease state. ME-BYO, which is one of the basic concepts of KAMPO, Japanese traditional herbal medicine, refers to the state between health and sickness. It goes without saying that improving diet, exercise and overall lifestyle are very important aspects of treating ME-BYO. 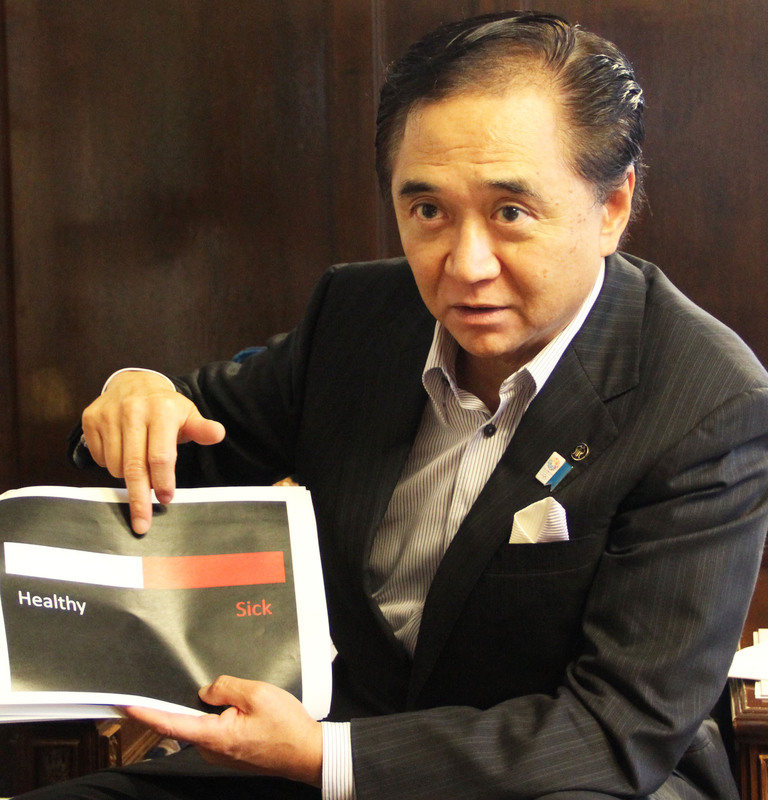 The uniqueness of our policy package HCNF is not only because we focus on curing ME-BYO, but we intensively combine it with the other approach: making most of the advanced medical treatment and technologies. 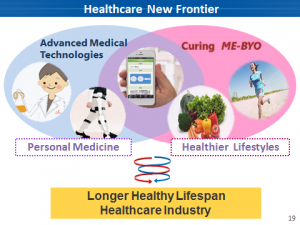 Two approaches united, HCNF will raise the level of healthy life expectancy of Kanagawa to be number one among the prefectures in Japan, as well as bring about new markets and industries to the region and the entire country. We will monitor day-to-day health conditions using the latest technology. A field test of the IT and database project (“My Health Record Project”), in which people make their personal health records portable using cloud technologies, is underway. Once the health data anonymized, we will be able to find more advanced medical facts through the big-data analyses of such individual data. 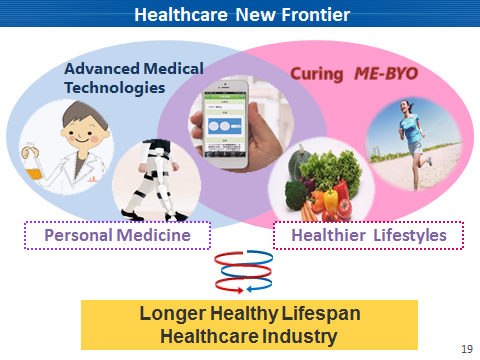 By operating personalized medicine in accordance with the person’s physical conditions and constitution, we will be able to offer people better treatment with far lower cost. There are a lot of business opportunities in the ME-BYO industry. ―How does your background affect your way of sending messages? As a former TV news anchor, I put a lot of efforts on how to express information and to communicate. In the past, Kanagawa Prefectural Government did not have keen interest in how to send out messages to the public. Policies will be more effective if publicly known. Since I took the office, we are trying to send out messages by selecting powerful words and expressions which would attract people more. It is challenging, however, since the Japanese media not necessarily focus on reporting “good” news, as I know from my own experience. Their interests are not in the contents of well-developed projects, for instance, but in the conflicts of different camps on such projects. We are trying hard to send out our message clearly to more people, including foreign journalists in Japan. ―How do you describe Kanagawa Prefecture? It is “Japan in microcosm.” You can find all the essences of Japan by just touring our prefecture: the metropolitan Yokohama, the seashore of Shonan, the ancient capital Kamakura, the hot-springs in Hakone, the mountains of Tanzawa and the beautiful countryside. Kanagawa is stylish, exotic, and international. While City of Yokohama is internationally known, however, the name Kanagawa may not be. We will do our best to promote Kanagawa Prefecture as a whole to the rest of the world. (Photo) Governor Kuroiwa (right) and Akasaka, in front of Governor’s calligraphy of the word “Inochi,” or life. “Inochi” has been Governor’s lifework.